Last month I wrote about the book I had just read; The Bluffer’s Guide To Beer, I really like it, it was both funny and informative. In fact I liked it so much that I decided to get another one of the books in the series. 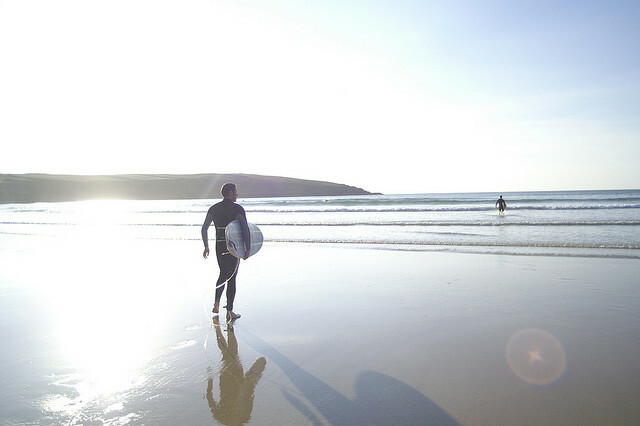 There are quite a few interesting Bluffer’s Guides but the one I went for was their Guide to Surfing. The idea of the Bluffer’s Guide is to give you enough information that you can confidently have a chat about the topic but without swamping you with tedious facts. All the topics are talked about in enough detail to satisfy your quest for knowledge but not in a way that over does it or might bore you. 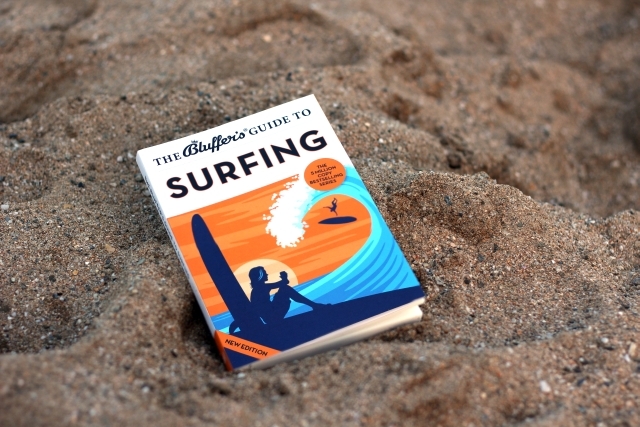 It’s a great introductory book and one that would definitely inspire you to get surfing and learn more about it. The author has a wicked sense of humour and I was chuckling all the way through this little book. Experienced surfers will enjoy the characterization of the different types of wave riders, I especially enjoyed the author’s description of long boarders! 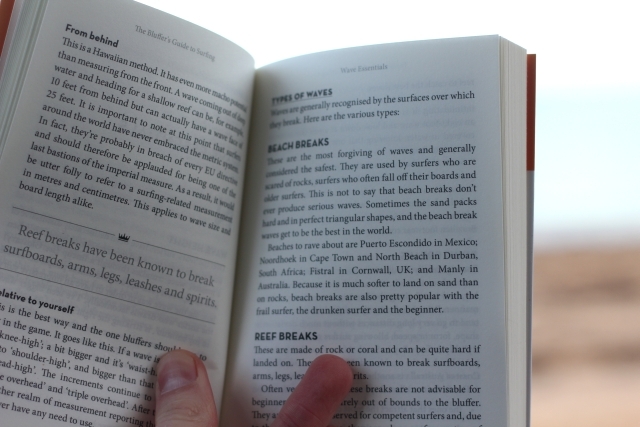 The Bluffer’s Guide to Surfing isn’t an all you will need bible, but it isn’t supposed to be. It’s the perfect read for a newcomer to surfing and a great humorous and quirky introductory book. Sounds great – think I’ll have to give it a look! Sounds like a great read, but would you leave it out on your bookshelf? Reckon it’s the perfect coffee table book for holiday homes in Cornwall. Unauthorized use and/or duplication of this material without express and written permission from this website’s author and/or owner is strictly prohibited. Excerpts and links may be used, provided that full and clear credit is given to Wild Tide with appropriate and specific direction to the original content. Wild Tide is a participant in the Amazon Associates Program and the SunGod Pioneer Program, both are affiliate advertising programs designed to provide a means for sites to earn advertising fees by advertising and linking to products.